The Corning Museum of Glass has named Dr. Karlyn Sutherland, a Scottish emerging artist, as the recipient of the 32nd Rakow Commission. She is known for evocative sculptures, fused wall pieces and site-specific installations that explore the emotional power of place. Dr. Karlyn Sutherland, 2017 Rakow Commission Artist. 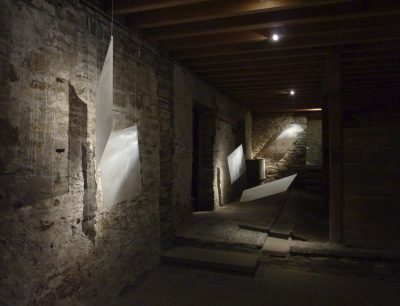 Sutherland earned her Ph.D. in Architecture from the University of Edinburgh in 2014, and it was her research into the bond between people and places that led her to glass. 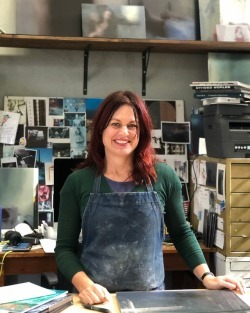 Keen to better understand her own sense of attachment to place, she returned to her hometown of Lybster, Caithness in the north of Scotland, which is also home to the internationally-renowned North Lands Creative Glass. Intrigued by the power of the school and the attachment that visiting artists developed to the location, she enrolled in Jane Bruce and Bruno Romanelli’s kiln-forming master class Light + Colour = Form. While she only intended to be an observer at the school, she became entranced by the material of glass. Since then, Sutherland has continued to engage glass in increasingly ambitious ways. In the spring of this year, Sutherland spent a month at The Studio of The Corning Museum of Glass as an Artist-in-Residence. During her time there, she further explored applications and installations of glass both within architecture, and on an architectural scale, with a particular focus on the transmission, reflection, and refraction of natural light. For the Rakow Commission, Sutherland will further explore a theme she began with the work Raigmore, Inverness (1) in 2015, which focuses on the tension between perspective drawing, common to architectural design, and the physical experience of space and atmosphere. 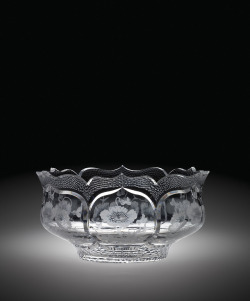 In this series, which was featured in the influential exhibition European Glass Context 2016, the work defies easy comprehension – although identified as glass, each piece looks like a digital rendering. This struggle to comprehend the work is by design. Unlike her earlier pieces, which sought to find architectural remedies to combat the increasing sense of detachment created by modern architecture, this series actively seeks to amplify it. The piece Sutherland will create is based on a memory of her childhood home, and the sense of detachment she felt after having left it behind. Sutherland’s commission will be unveiled during the November 9 “Behind the Glass” lecture at the Museum, where she will be the guest speaker. Inaugurated in 1986, the Rakow Commission is awarded annually to artists whose work is not yet represented in the Museum’s collection. The commission supports new works of art in glass by encouraging emerging or established artists to venture into new areas that they might otherwise be unable to explore because of financial limitations. It is made possible through the generosity of the late Dr. and Mrs. Leonard S. Rakow, Fellows, friends, and benefactors of the Museum. Each commissioned work is added to the Museum’s permanent collection and is displayed publicly.